Musical Highlights From The SteemitVerse - Vol 1! Welcome to the new releases music section on TheAlliance Blog! 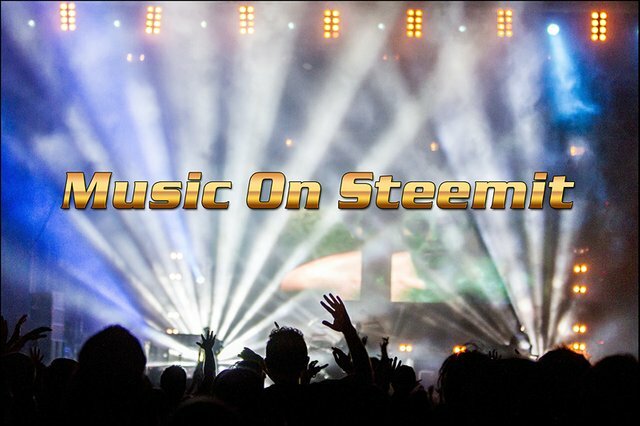 I will be giving you the scoop on some of the hottest producers and musicians on the Steem Blockchain. And for the first post, I got some brand new awesome musical goodness for ya. "Needing to get some Broken Beats out of my system I laid down the groundwork for Alien Abduction. Zig @onemedia added his wonderful flavor in his rad style, recorded the pipe-organ & guitar then sent it back to me. Let there be said, some Alien Abduction was going on during the process, ehehe!" "Remixes for tracks off the first Wav-Legion collaborative fusion album are dropping for listeners on Spotify, iTunes, Amazon and more. Get these tracks in your playlists and support this huge Blockchain Artist Collaborative Sound Movement." "Today we dropped a new sneak track release on Choon and Musicoin "Hello City" This is the 3rd official track drop for the new up and coming album Wav-Legion II." "So I had this unfinished song and I showed it to @jeffleinwand and asked him if he wanted to play with it and he said yes. He asked me what I wanted done and I said" I give you creative freedom - go nuts" and nuts he went! I present to you The fembot Lovesong - Enjoy!" And it's time we get a lil krazy up in here, check out another fambalam member @krazypoet with his song - Awaking Life - This is a chill, ambient track that will get you in a relaxed state of mind, give a listen! "Can you tell I love collaborations with TygerTyger? She makes it so easy! Plus, I wouldn't be releasing a song today if she didn't lovingly and relentlessly push and poke me to do my part. Hope you enjoy!!" "My heart is breaking knowing how her world has been turned upside-down, all those emotions crashing in on her. Feeling her pain & helpless not to take that away I had to create, Why Do You Think I Don't." Well, that's it for this Vol 1! Be sure to keep your eyes peeled for musical goodness coming your way in the very near future... Peace Out! Ah thank you so much for the shoutout here - really pleased you're digging the remix! An honor and pleasure to be part of such a talented cohort!!! Awesome! An all round trippy experience for the eyes and ears!! Thanks for the shout out my bro, awesome to get a vibe going with all our music community and it keeps us going and inspired. Oh and here is my choon if anyone is interested. Going to release album soon in the works. This is such a badass idea 😜👍 and as always some amazing people mentioned and who doesn't LOVE great music? I DOOO!! Good stuff @inthenow! Thanks for curating for us!